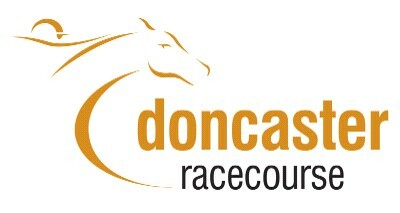 Doncaster Racecourse is pleased to announce today another new sponsor at the Ladbrokes St Leger Festival, with Neptune Investment Management the new sponsor of the £100,000 Group Two Champagne Stakes on Saturday, September 11, Ladbrokes St Leger Day. The Neptune Investment Management Champagne Stakes takes place over seven furlongs for two-year-old colts and geldings. The historic contest was first run in 1823 and the £100,000 Group Two race often provides an insight into stars of the future. Recent winners including the subsequent Group One winners Noverre (2000) and Dubai Destination, who defeated the mighty Rock Of Gibraltar in a thrilling renewal back in 2001. King Torus could take his burgeoning reputation to Doncaster for the Neptune Investment Management Champagne Stakes. The high-class colt’s owner, Yorkshireman Sir Robert Ogden, has three other candidates for the race; the Jeremy Noseda-trained pair of Casual Glimpse and Garde Cotiere are also engaged as is Star Of Dance from Sir Michael Stoute’s yard. King Torus, trained by Richard Hannon, blitzed his rivals when winning the Group Two Veuve Clicquot Vintage Stakes by six lengths over the same distance at Goodwood on July 28. Barry Simpson, racing manager to Sir Robert, revealed today: “Plans are very fluid on all four horses and we will know more later this week after I have spoken to all of Sir Robert’s trainers. 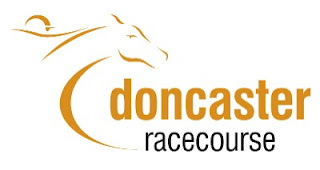 “King Torus has lots of options and the Neptune Investment Management Champagne Stakes is one of those but anything is possible at this stage. “King Torus is one of those horses that does absolutely nothing at home and would be one of the worst horses in the yard so far as home work is concerned. “He is the same when he goes down to the start, you wouldn’t pick him out, but as has been said many times, it’s not how they go down, it’s how they come back. Casual Glimpse easily captured a six-furlong conditions race at Newmarket last month and heads to York today for the Group Two Irish Thoroughbred Marketing Gimcrack Stakes. Simpson continued: “Casual Glimpse is another Neptune Investment Management Champagne Stakes possible. He was supplemented for the Gimcrack Stakes at York, so he goes there and we are very happy with him. Of Sir Robert’s other two Neptune Investment Management Champagne Stakes entries, the unraced Garde Cotiere has Group One entries later this year in the Dewhurst Stakes and the Racing Post Trophy over a mile at Doncaster in October. The Stoute-trained Star Of Dance showed promise when sixth in a seven-furlong Sandown maiden on July 28. Simpson said: “Garde Cotiere is a horse which we would have liked to have run in a maiden by now but he is just going through different stages of growth. “He certainly wouldn’t go straight to the Neptune Investment Management Champagne Stakes - he would need a prep run before going down that route and he will be running shortly. “There is a lot more to come from Star Of Dance. I don’t know whether he is quite at that sort of level yet in terms of how Sir Michael wants him. Other notable entries for the Neptune Investment Management Champagne Stakes include the Aidan O’Brien-trained Zoffany, winner of the Group One Phoenix Stakes and the Hannon-trained Libranno, unbeaten winner of the Group Two Richmond Stakes and Group Two July Stakes. Neptune is an award-winning fund management house and one of the fastest growing investment firms in the UK. Founded in 2002 as a long-only equity investment firm, Neptune now manages nearly £6 billion of assets on behalf of private investors, advisers and institutional clients. Neptune is privately owned, with employees and directors holding a 75% stake, which helps align its interests with those of its clients.